When I moved to Switzerland, there was one thing that shocked me more than anything else: How freakishly expensive food was. I am not talking about gourmet food, but about everyday staples like meat and vegetables. Not to mention bread, biscuits... I remember walking through the aisle at my local Migros or Coop grocery store, shaking my head at the prices. 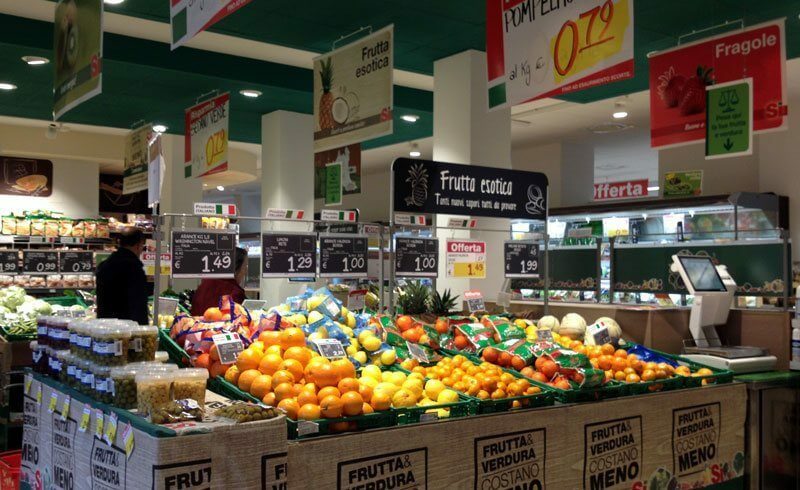 Very soon, I learned the Italian way to go grocery shopping. Buying in Switzerland what is of better quality and not so expensive, then ride our car to the nearest Italian supermarket in Como, just off of the border. Food in Italy is way, way cheaper than in Switzerland, and (with a few exceptions) just as good. I always buy potatoes, milk, butter and eggs in Switzerland as they are so much better here. Of course, we Italians are obsessed with food, with cooking, and with bargains. And the fact that Ticino is literally surrounded by Italy makes it even easier to go shopping back in our home country. Not to mention, since the exchange rate for the Swiss franc has been released and prices in the Euro zone have plunged, Italian goods have become even more insanely cheap for those who earn a Swiss wage. The result: More and more people are frequently making a trip cross-border to stock up on food for the week. Once, there used to be only Italians going to nearby Como to do grocery shopping. But now? It's everyone. 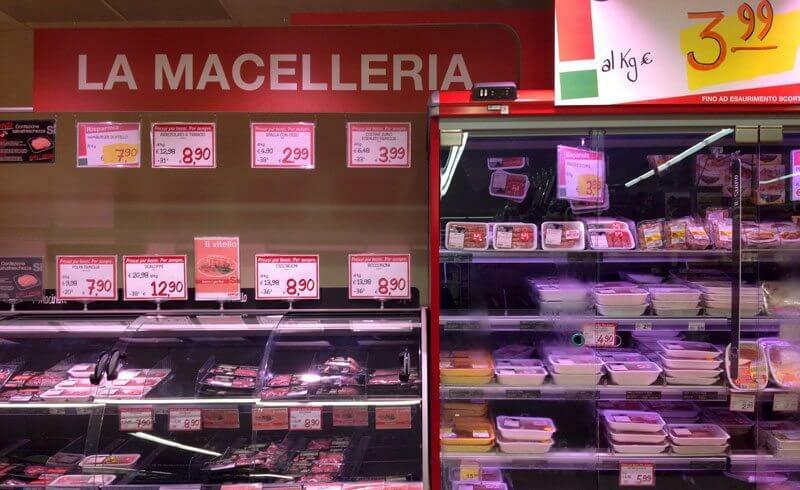 The prices have become so cheap that even die-hard Swiss-product-loving-people from Ticino are driving to the local Bennet, Iper or Esselunga stores (popular grocery chains in Italy). 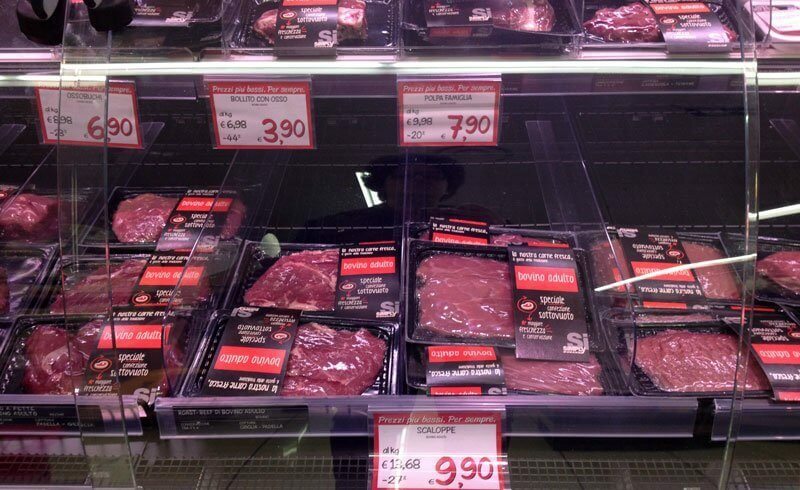 Swiss supermarkets are doing their best with price cuts and discounts to retain shoppers, but they really cannot compete. Not to mention: Swiss residents can get the VAT sales tax refunded when crossing the border - even more savings! This all sound too good to be true. As with everything, there is a fine print. The amount of food which can legally be imported is limited, with amounts varying by type of food. Anything above the legal amount will result in a (very expensive) fine. "Just how much meat did we buy again?" So here I am at an Italian supermarket on a Sunday afternoon, along with my husband and my daughter. We are packing up bags and bags of food just like any average Italian expat family from Ticino. And yes, shops are conveniently open on Sundays here in Italy. I am confident that my bags of food will cross the border unchecked. Because I am a fool and I never check how much meat, butter, oil or wine I am buying. I just throw it all in the cart and head to the cashier. And of course, the time I decide to fill up my freezer with chicken, beef, pork chops and other random assorted goods from the animal kingdom has got to be the time we are stopped at the border. I break into a cheerful smile... and a cold sweat. "How much meat did we buy?" asks my husband, looking at my worried face. I grow even paler. "I don't know," I mumble. "I might have gone a bit too far this time." And this is when I knew this it was going to make a wonderful piece for Newly Swissed: That time we almost got caught smuggling meat into Switzerland. Notice I wrote "almost"? The customs officer added up all the meat we had bought, and we were safe by a few grams. I kid you not. That moment, a huge sigh of relief was heard all around the border. It is when I realized that a life of crime would not suit me. 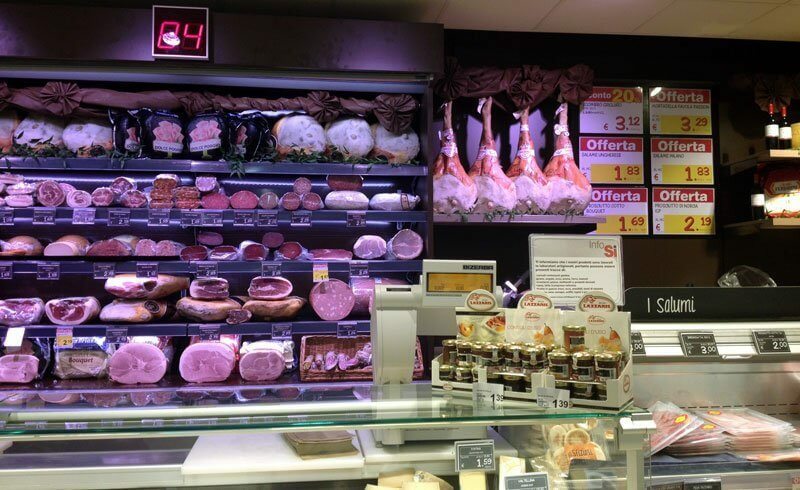 So yes, next time I go grocery shopping in Italy, I will be sure to stay well within my allowed quantity of meat! - How to get a VAT refund when shopping outside of Switzerland. It is rather easy and I do it very often, so I suggest you give it a try if you have not done it yet. Tax free shopping is one of the greatest perks of being a Swiss resident. - Quick guide to Duty Free Allowances: How much meat, fat, tobacco and alcohol you can bring into Switzerland without getting fined... Happy shopping! - In Ticino news: With Spring ahead and barbecue season about to begin, more and more people are being searched and fined for illegally importing meat (Corriere del Ticino).